This article was taken from ECA latest edition of Every Child. To purchase your copy, click here. 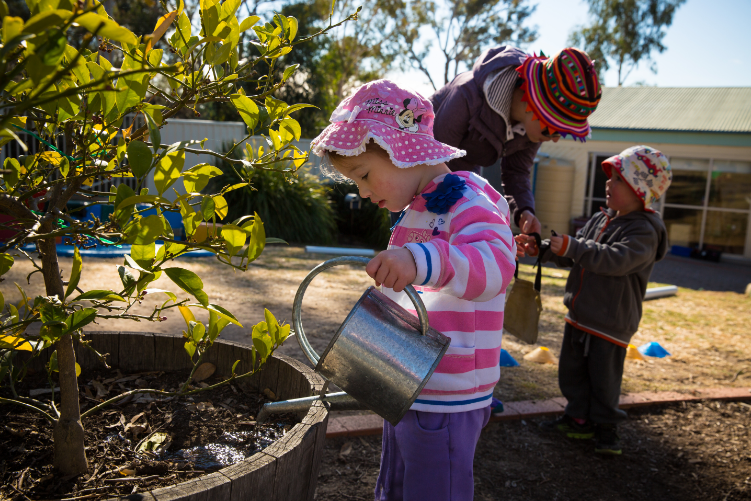 The Honey Tree Preschool Bellbird is a 39-place centre located in the Hunter Valley, New South Wales. After noticing a reoccurrence of black silt and dust on the white architraves and window sills, it was decided to research ideas for natural air-purifying methods, before submitting a grant to the local council advocating for plants to reduce indoor air pollution. The grant was successfully approved. 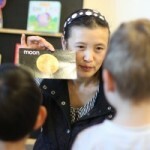 This article is the story and learning journey of the children and educators at the Honey Tree Preschool. As early childhood educators we have a responsibility to provide a clean environment for all children in our care. Cleanliness can be monitored and measured by daily Workplace Health and Safety (WHS) checklists and housekeeping duties. 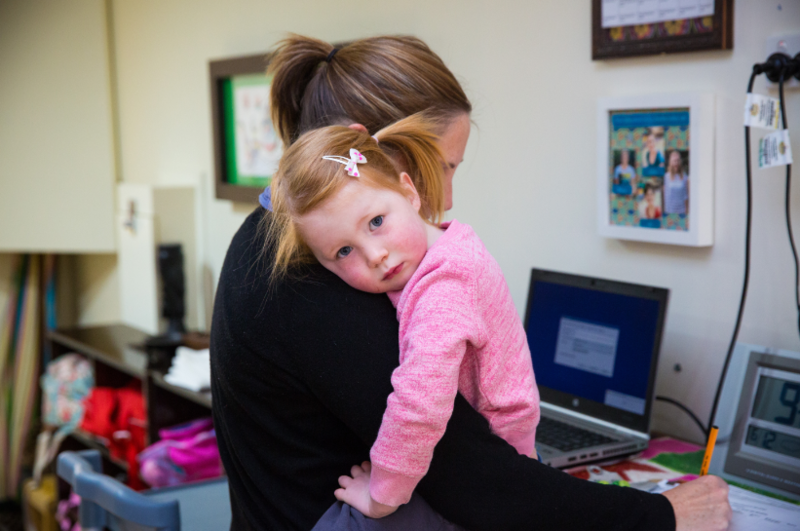 Ensuring that children arrive in an environment that is clean every day is a priority for each educator at the Honey Tree Preschool Bellbird. Regularly cleaning play resources and table surfaces with environmentally friendly products to avoid cross-contamination, and to alleviate dust and other industrialised pollutants, is a necessary practice. How do we monitor air quality and how can we implement strategies to minimise air pollution from everyday fossil fuels that we depend on, including pollution from traffic and the silt fallout from the nearby coal mine, located six kilometres from the preschool? Keeping an environment clean, from a bird’s-eye view, is manageable; however, reducing the industrial fallout of dust and silt was an issue to be raised and investigated. How can we look outside the square to improve air quality and get results? The most commonly implemented practices to maintain effective airflow and to remove the accumulation of dust on surfaces include: opening windows to provide sufficient ventilation; ensuring air-conditioning vents and ceiling fans are routinely cleaned; wiping and dusting surfaces; ensuring a smoke-free environment; and limiting household pollutants. These strategies clean the environment of contaminants settling on surfaces, but how can we improve air quality and minimise air pollutants? After receiving a $500 grant from Cessnock City Council, I began to brainstorm ideas with the other Honey Tree educators. Where to begin? How can we make this a meaningful learning experience for the children? During the first stage, I researched a variety of plants that have air-purifying qualities and sourced them with the assistance of the horticultural team at Bunnings Warehouse Cessnock. The Peace Lily, Bamboo plant, Dracaena, Goldilocks, Rubber plant, Mother-in-Law’s Tongue and Boston Fern (Wolverton, 1997) were purchased and displayed for the children to investigate and explore as a platform of discussion, generating interest and intrigue. 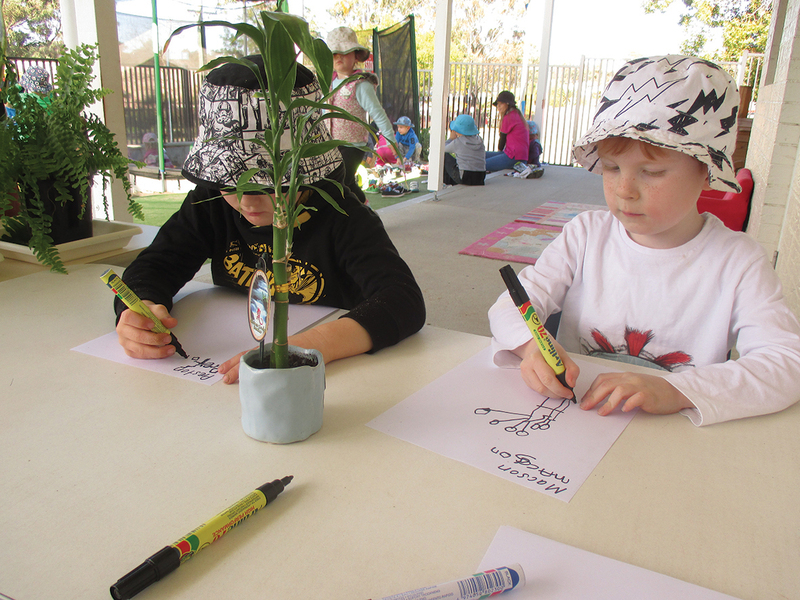 The children were initially provided with experiences such as still-life drawing and painting of the plants. However, after learning the plants’ names, as though they were new classroom pets, the pivotal moment of the project commenced when the children began to question the purpose of the plants. The answer was simple: the indoor plants were magic! They provided us with oxygen and they did a wonderful job at turning the bad air into good air so we have clean air in our environment to help us breath. It was announced to the children that, for this reason, we received money from our local council to obtain more indoor plants. We decided the only logical way to be equitable was to allow the children to vote for their favourite plant, therefore encouraging choice, autonomy and mathematical problem-solving skills. 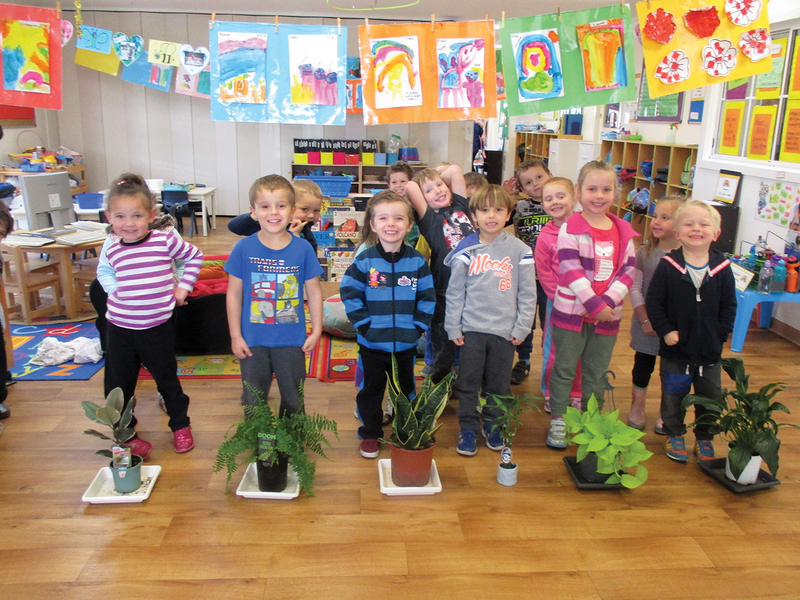 After purchasing the winning plants, the children were encouraged to consider how to care for and respect these indoor plants, as well as revisit their learning in regards to how indoor plants help the environment. Educator-facilitated brainstorming of ideas developed into the re-potting of plants with the help of some of the experts from Bunnings, creating a rich, environmentally friendly, community-connected learning experience. Having five unique indoor potted plants in each room not only increased the aesthetics of the environment, but gave children a sense of ownership and pride. Additionally, these plants assisted children with separation anxiety, as a distraction and point of interest—particularly as the children decorated the pots with their own choice of art mediums. 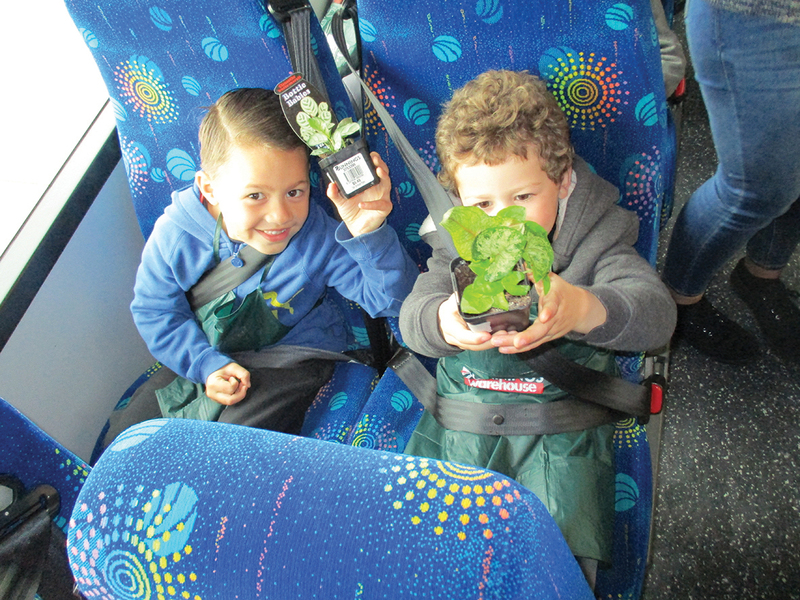 The funding money was also spent on an excursion to Bunnings Warehouse Cessnock, allowing the children an opportunity to purchase their own indoor plant to take home. 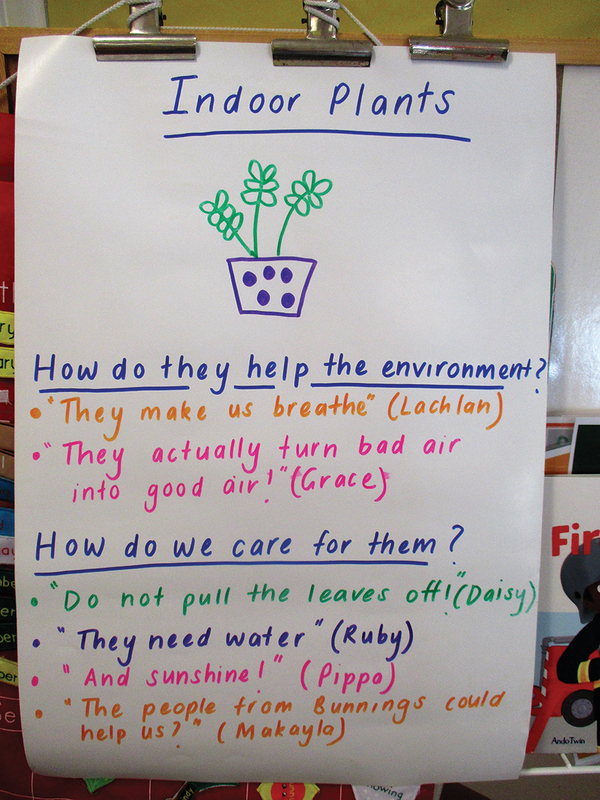 The project extension linking the home environment not only enabled ownership of an indoor plant but was a motivational tool to inspire children to share their knowledge with family members and visitors, therefore becoming advocates in promoting the benefits of indoor plants. Since incorporating indoor plants into the environment at the Honey Tree Preschool, we have started to see a slight visible difference in the reduction of interior dust. Unfortunately dust and silt may never be eradicated in a society that places so much dependence on industrialisation. However, the use of indoor plants to purify air and minimise dust and silt not only benefits all involved, but may also relieve children with respiratory illnesses such as asthma (Burchett & Torpy, 2011). This article was written with the hope that other early childhood services may adopt this approach and appreciate the many health benefits and valuable environmental educational learning experiences that indoor plants can provide in children’s learning environments. Furthermore, I hope that the use of indoor plants becomes a recognised strategy to be included in future curriculum sustainability standards. The Honey Tree Preschool Bellbird would like to thank Cessnock City Council (CCC) and Trish Donnelly, Sustainability Officer CCC, for believing in the project, as well as Bunnings Warehouse Cessnock, Sue Whitaker and Cathie Charlton for their support and assistance. Burchett, M., & Torpy, F. (2011). UTS Science in Focus: How humble houseplants can improve your health. Retrieved 14 September, 2015, from www.uts.edu.au/ about/faculty-science/what-we-do/uts-science-focus/medical-and-biomedical- sciences/how-humble. Wolverton, B. C. (1997). How to grow fresh air: 50 house plants that purify your home or office. New York, NY: Penguin Books. An excellent article about thinking beyond air fresheners in a can or cleaning chemicals. I have plants indoors but relegated to the hallway. Looking forward to getting more indoor plants. Thanks for sharing. This is an excellent reminder of how not only to bring the outdoors in but also the benefits of doing so. As an early childhood teacher in a British international school Bangkok we have recently been checking the air quality with the children on a daily basis to see if we can go outside to play! As we begin our new term I will certainly be considering implementing some of your ideas. Thank you. Such an important element of environments that is so often over looked. Thanks for sharing! This post describes how important clean environment is for children. Thank You. It helped me chose Little Angels.